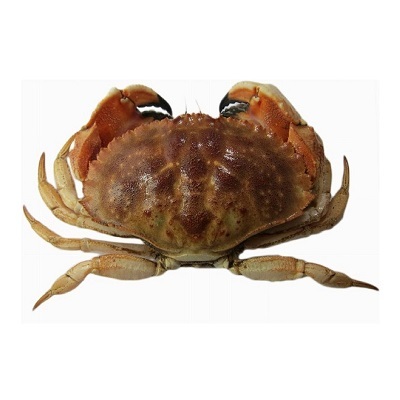 Johna crab (Cancer pagurus), the main distribution area of Johna crab is at the North Sea, Mediterranean and the north Atlantic. The main catch area of our company is Nova Scotia’s wild waters. Their body is stout, reddish brown, round crustacean and the top of the clamp is black. They can grow up to 25 cm and weight 3kg. Johna crab is not only rich in fatty acids and other nutrients such as potassium, phosphorus, iron and zinc, but also rich in calcium, magnesium, selenium, and vitamins B1, B2 and vitamin C.